While most games no longer include cheat codes (seriously, developers, bring those back please), there's one thing we'll always be able to count on: glitches. You'd think as games become more sophisticated, they'd also get less buggy. On the contrary, games are getting more complicated every year, and it seems like glitches are here to stay. We can thank physics for many of these, though many more can be attributed to messy design, rushed development or simple oversights. Whatever the cause, these glitches are hilarious, devastating, and occasionally useful. 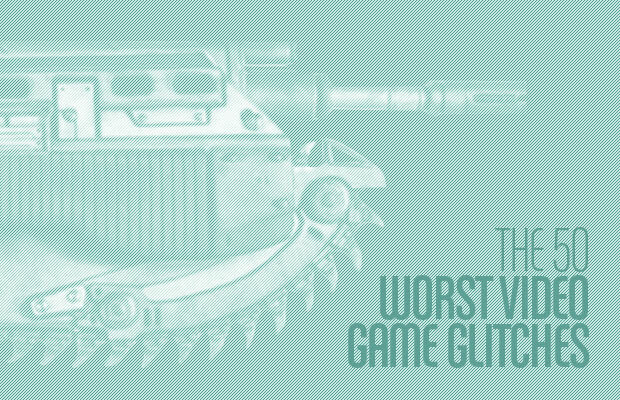 So get out your turbo controller and read on for the 50 most ridiculous glitches in gaming.